......is mostly about the knitting! Where do I begin to tell you about what's been going on here? Why have I been missing? How did everything spin out of control? I hope you'll all understand why I've been missing in action. With so little extra time, taking care of my family was high on my list and unfortunately blogging was real low. Now that things are getting back to normal, slowly I'll try to catch up with everyone. Now to show you some of what I've been working on. Yes, I was determined to find a little time to knit. What I can't believe is that Easter is right around the corner! Before everything went out of control I did actually buy myself a new camera, a Cannon Powershot SX110 IS. I LOVE it! I'm still learning....the zoom is super and videos come out great. It had already been put to good use, even though it took me a while to get it out of it's box. For now everything is GOOD. I'll be sure to stop in and catch up with my friends as time allows. I think I'll be playing catch-up for quite some time. 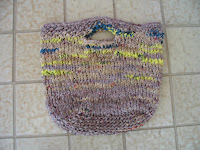 Enjoy the spring and hope you have time for some extra happy knitting :) I know that is what keep me sane. I'm glad you Dad is in a place that he likes and is safe. Best wishes to him in his new home. Glad you are back. Missed you! it's so good to hear that all is well with your father and yourself. i was worried! i love your river rapid socks as well. you've been a busy knitter! it's good to have you back! There you are! Welcome back, and what a nice surprise to see a post here! Looks like your camera is doing a fine job, too. I love my Canon. You could never be forgotten Deb, I am glad to hear everythign worked out for your dad, what a relief for you both. 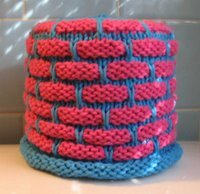 I was thinking about you because I kept seeing your circle honeycomb cloth (forgot the actual pattern name, lol) on several blogs from the Monthly KAL. I still haven't made it but it's on my list. I'm so glad you posted - I was wondering how you were, and if everything was ok. Sorry to hear about your Dad but it sounds like it worked out well in the end. It must have been very stressful to go through, and I'm glad its better now and you can relax a little. Great socks - and the shawl is very pretty! I'm glad things are finally getting back to normal for you and that your dad is safe and sound. That helps so much!! I love your socks (both of them) and the prayer shawl is simply gorgeous. Whoever gets that will be one lucky person. Glad to see you are back. I figured your absence was due to your father, I am glad he is doing well and enjoying his new digs! Love the socks, they are faboo. Glad things are settled with your dad. My mom is in a large AL place and she loves it.. she does more now than ever. DId you make your sock blocker??? Man I missed chatting with you! Thanks for stopping by my blog! I am so glad to hear that you Dad has found a safe place to live. 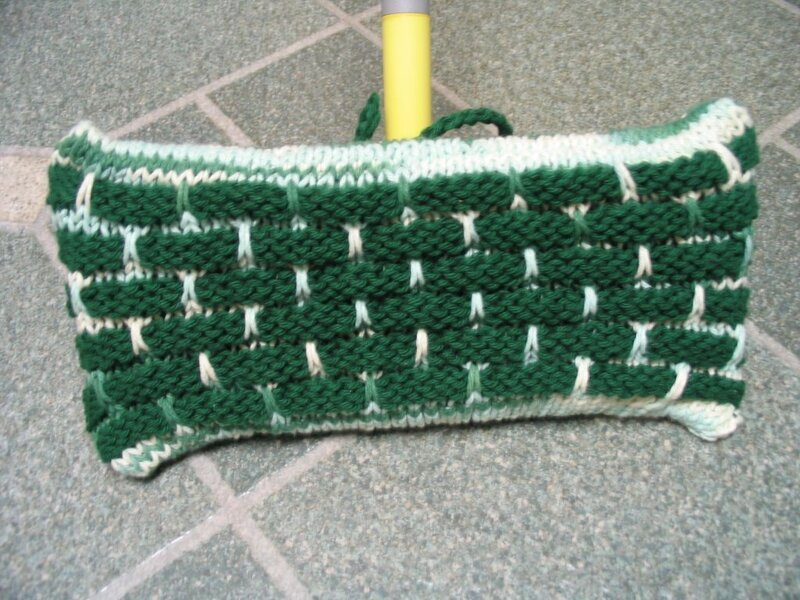 =) Your new knitting looks awesome!!!! I missed you Deb and suspected your Dad was the reason for your blog absence. I am glad to hear he is doing well and settling into his new place. I love your socks. I've gotten bitten by the Sock Bug and have found them to be addictive. i'm so glad that things are getting back to normal for you and that everything is better with your dad. we've missed you here in blogland! your socks look great and i love the ruffle on the prayer shawl. i tried to knit a ruffled baby hat, but it involved WAY too many stitches for me, especially when i got the stitches twisted! i ended up just knitting a beanie instead, lol. Wow, you did have a lot on your plate ! I'm glad everything is well now and your dad is all settled in someplace nice. We've been overseeing care of dh's grandma while his mom is in FL for the winter and it has been very stressful at times, so I can relate a bit. Glad you found some knitting time, I think it really helps! It all looks lovely. ps. I bought the same camera not long ago and i really like it. YEAH!!! Deb you are back!! YEAH!!! I missed you terribly. I am glad everything is okay. I look forward to more posts by you. I'm glad you are back, and everything turned out so great for your dad! You certainly had a lot to deal with, no wonder you went missing. :o) All the best to you and your family and Happy Easter! Thanks so much for the visit and caring, greatly appreciate it. Glad to hear your situation has leveled out some. I'm beginning to think mine isn't going to. We're into week 7 now for this hospital stay. Love the socks, I keep my yarn close at hand, sometimes I think it's what keeps me from completely losing my mind. Love the prayer shawl ! glad things are better ! I'm so glad to hear your dad likes his new home. 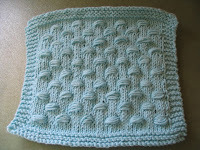 Circle Baby Blanket Circle Baby Blanket in Spanish now available when downloading the pattern on Ravelry. Left Overs are a good thing! This is a Flickr badge showing public photos from hakucho. Make your own badge here. Copyright ©2006-2015 hakucho, All Rights Reserved.. Awesome Inc. theme. Theme images by enjoynz. Powered by Blogger.